This may come as a shocker for most of you, but it’s actually a Chinese manufacturer that is trying what none of the classic camera makers are interested to do (any time soon). Are you ready? 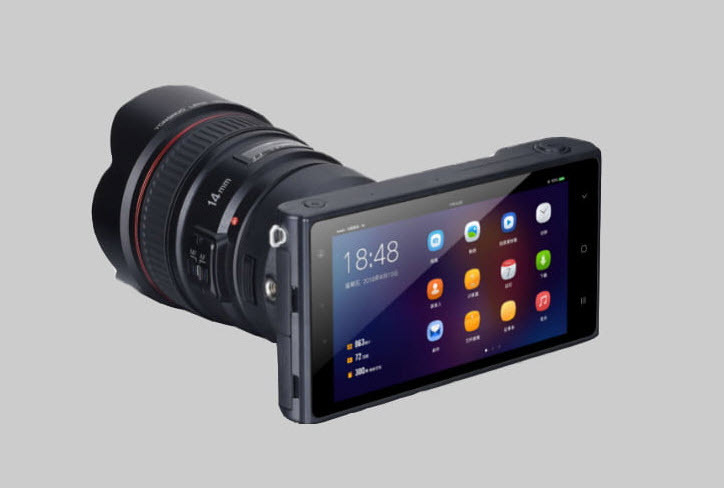 Yongnuo is developing as we speak (chances are everything is ready, except for the name) a mirrorless system camera that is going to run on Android and it’s going to come with 4G ability. Impressive, right? Yongnuo is a branch of the Shenzhen YongNuo Photographic Equipment Co. Ltd. and it’s interested in the development, but also in retailing and manufacturing of various professional photographic equipment. The business has a 10-year activity and it’s creating high-quality photographic equipment for its customers. The team includes engineers that have an impressive knowledge on photographic equipment manufacturing. Its main concept “Customer First, Reputation First and Service First” explains why it has a good reputation in the China mainland market. Is a mirrorless System camera with 4G any different from an Android phone? It’s quite common for all of us to find Android running on tablets, cars, phones and even appliances. It’s strange that we’re not finding Google’s operating system on cameras, right? Even though there were plenty of cameras with Android out there, they were also pricey and the performance on taking pictures wasn’t that impressive. So it’s understandable the interest of Yongnuo for taking the idea of an Android-powered camera to a better level. Truth be told, Yongnuo isn’t the first to attempt designing a camera that combines the interchangeable lens with the smartphone operability. Samsung’s NX1 is one good example. However, the camera has been in fact pulled out of the U.K and there was no update in the past years whatsoever. Zeiss is another manufacturer that has announced the development of a full-frame mirrorless camera that comes with Lightroom built in and a large touchscreen. Technically speaking, the cameras did progress a lot in the last years. We see how the simple dials and knobs are replaced with very big touchscreens and even built-in Adobe Lightroom software. 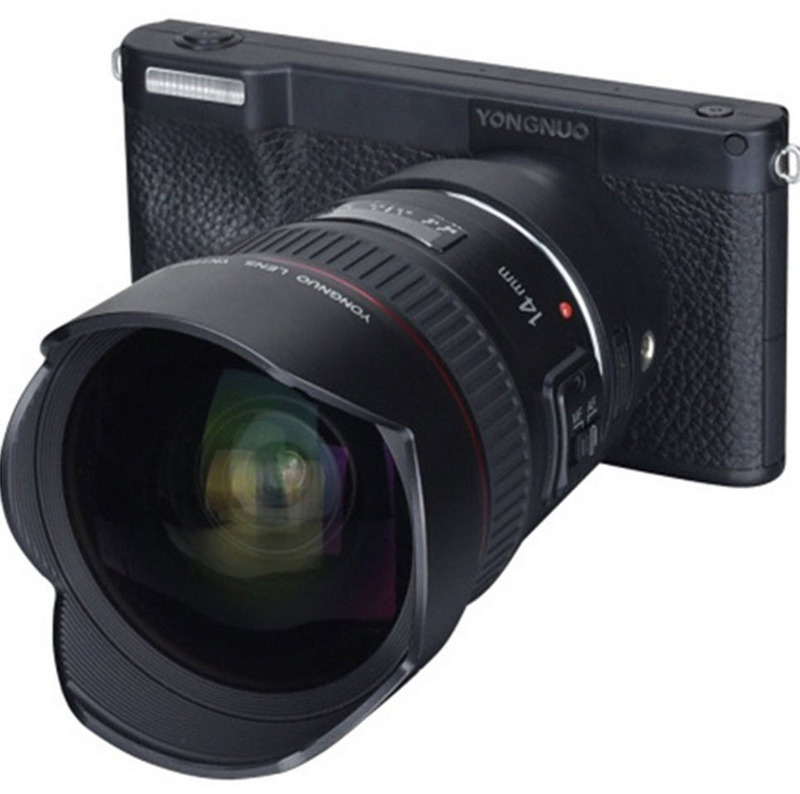 For Yongnuo, it was only natural that is going to create a full-fledged mirrorless camera that takes Canon’s EF line of lenses. This camera is also going to run Android Nugat on a 5in touchscreen display. One would also think that plenty of hardware comes right out of an Android phone. The teasing does state that the camera offers complete Netcom 4G/3G network date, but also Wi-Fi. Even though it’s going to feature an eight-core Qualcom processor (unspecified at the moment), the camera is also going to give you 3GB RAM, 32GB of storage. Yongnuo didn’t hold back on the features and the new model is going to come with a headphone jack- and that’s quite different from any Android phone out there. How does the new camera look at a glance? Due to the Android 7.1 operating system built inside, the camera looks a lot like a smartphone and not so much as a camera. The camera includes a 5in 1080p touchscreen so that you may easily navigate through its operating system. Yongnuo tried its best with this camera and the sensor-packed inside isn’t designed by Yongnuo. The camera comes in fact with a 16MP sensor created by Panasonic. The Qualcom eight-core processor is going to process the images, providing 4K support up to 30fps. It’s planned that the camera features Canon EF lens mount, but also a second 8MP camera for selfies and support for RAW shooting. Not only that the camera is going to use 3GB of Ram with 32GB of storage, but it’s also going to feature GPS, headphone and dual-MIC support. The quality of the image with the mirrorless camera with connectivity and on-device editing of a smartphone is a neat idea, but Yongnuo has to find the right way to do it. The back of the camera reminds us of a regular smartphone thanks to the LCD touchscreen. The camera features a bank of navigation buttons on the left and GPS for tagging locations on your photo. It comes with a 4,000mAh battery and a LED flash. There are some parts that look weird too. The sensor is Micro-Four thirds, whereas the lenses are the Canon’s full-frame options. Full frame lenses are able to work on a smaller sensor with a crop factor, but the lenses are pricier than the 4/3 or APS-C lens. In addition, the lenses are also larger. However, you’re going to be able to access Google services right from the camera roll. This counts a lot for a possible live streaming with a direct connection to services such as Twitch or YouTube. Another pet peeve is the missing of the viewfinder and the lack of a hot shoe slot. But this isn’t going to be a deal breaker for most. What is it that we don’t know just yet? Many are expecting for this camera to actually replace the Galaxy Camera, but we take it with a grain of salt. We don’t know if it’s going to be able to install apps from the Google Play Store or if it’s only going to use Android software base. We don’t have a date of the release either. It’s very unclear the pricing or the release date and we don’t have any clues on the US availability. This is both fun and interesting as Yongnuo hasn’t come out with a name so far. As a matter of fact, it’s running a contest on its Facebook to find a more representative name than the cold YN450. The YH450 naming contest results are going to be listed in January 2019, which means that the official announcement of the camera is going to be at the same date or close to that. 100 participants in the contest are going to win a Yongnuo YN50mm f/1.8 lens for Nikon or Canon (it’s around $50). The upcoming camera from Yongnuo isn’t going to be ground breaking, but we’re hoping for a camera that is going to create quite the stir among the amateur photographers out there.